It’s almost unimaginable to think that 3 years ago today I joined the blogging world. What’s even more incredible is how far not only my little Ladybug has come but how far I have come. 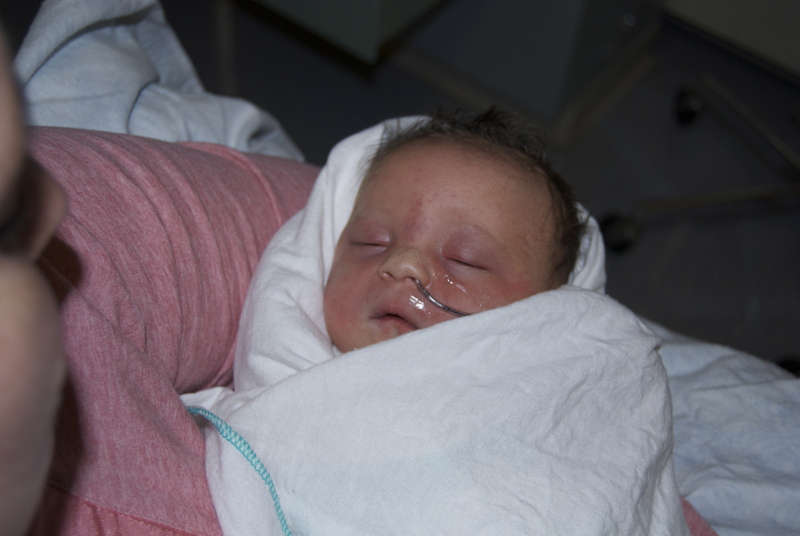 3 years ago I was struggling with the biggest fear of all – possibly losing my baby girl. 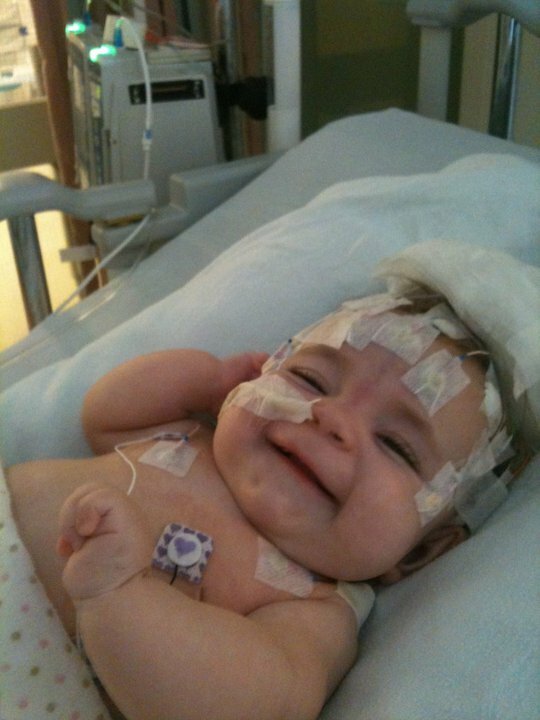 Ladybug was so fragile and so sick, all I wanted was a little a peace of mind. I tend to keep my emotions inside until I can comprehend and make sense of everything, but I was becoming so overwhelmed. I knew I needed an outlet and it was on August 23, 2010 I found mine. Beginnings. Today for the first time since Ladybugs Mic-Key G-Tube was put in, it came out. The nurse brought Ladybug to me in one arm and the Mic-Key in the other. The inflatable balloon portion was still inflated. All that went through my mind was I can’t let the hole close up. I went into super mom mode grabbed Ladybug, grabbed a spare tube set, took off her dress and saw for the first time this teeny tiny, itty bitty hole where the tube should be. I had a dear friend whose daughter also has a Mic-Key briefly talk about how she has had to put a new tube in at the craziest of times so I tried to remember what to do. I picked up the shiny new Mic-Key and after a little bit of wiggling I popped it right back into the hole, then inflated the balloon with sterile water to hopefully keep this sucker in its place. After all was said and done and many cuddles were given I looked down at the old tube still inflated and my heart broke. 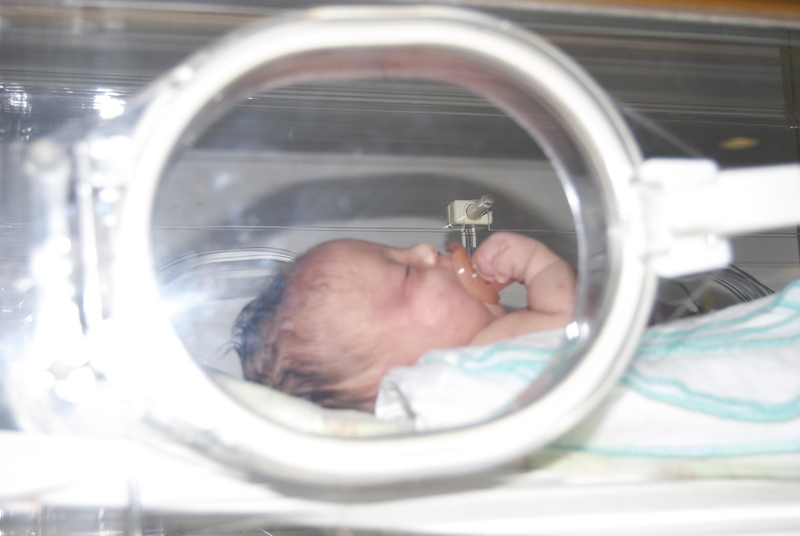 It must have hurt so much, but my little Ladybug calmed as soon as I began to put the new tube in. 3 years ago I never could have imagined changing a G-Tube let alone changing one by myself. At that point I was still grasping bolus feeds with a 60CC syringe through her NG tube and we were months away from getting her CDG diagnosis. 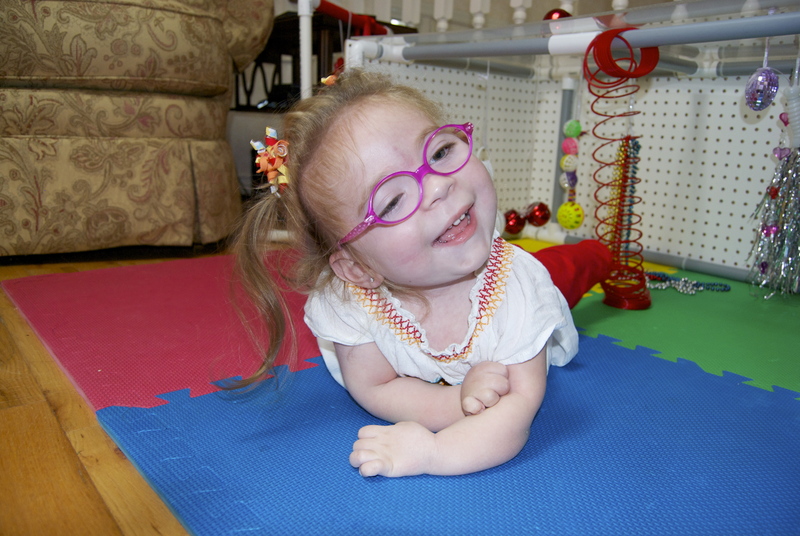 Ladybug has been doing quite well and will be starting school part-time this September. The time has flown by and I am ever so excited to see what new adventures the next 3 years will bring. I’m sure by then I’ll be able to change a Mic-Key tube with my eyes closed, one hand behind my back, and balancing on one leg. Even though it’s been a few months since we were first told that Ladybug has CDG SLC35A2 I still find myself in awe of it all. In my previous post I mentioned there was more to it that I wasn’t ready to talk about. 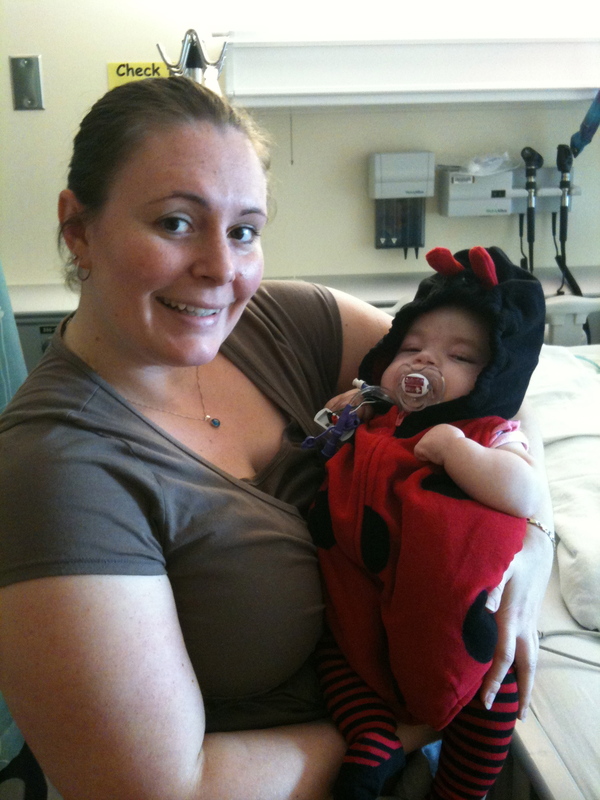 From the initial diagnosis we were told that CDG was a genetic disorder and that Ladybugs father and myself were carriers. Makes sense! 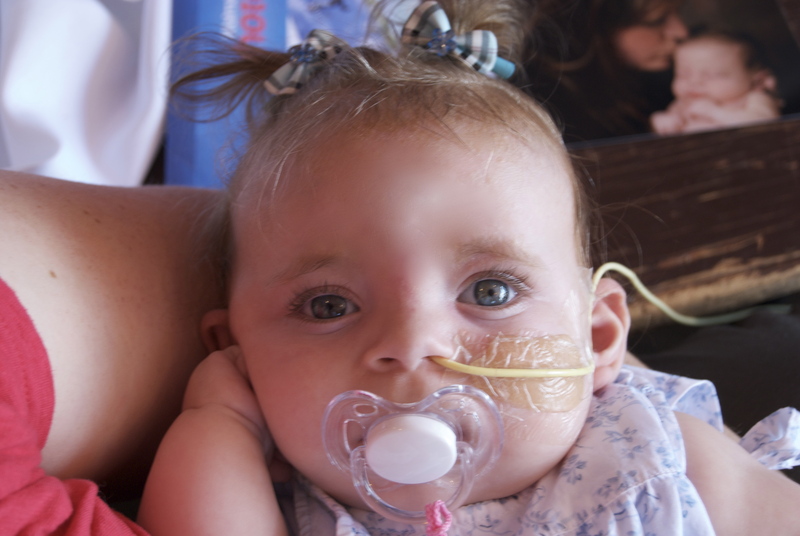 With CDG there is a 1 in 4 chance that a subsequent child will also have CDG. I was heartbroken. For as long as I could remember I wanted at least 2-3 children. I’m not the gambling type and was far too worried about putting another child through the pain that Ladybug had been through, so we decided she would be our only child. It was always so difficult to hear of others around me becoming pregnant because it was a constant reminder of what I would never be able to experience again. I desperately wanted to be able to enjoy a worry free pregnancy like those around me, and this would often bring me to tears. Now 1.5 years later I had come to accept this and we began the long process to become foster parents. CDG SLC35A2 is caused by spontaneous somatic mosaic mutations in the X-linked gene. I’ll break it down for everyone. 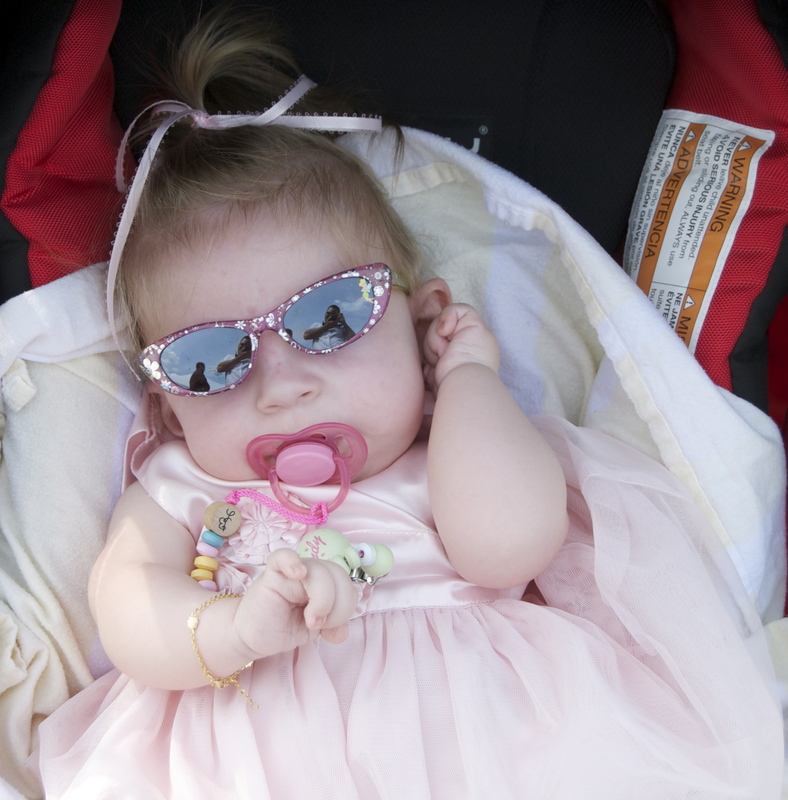 Spontaneous or “de novo” – a genetic mutation that neither parent possessed nor transmitted. Somatic – ‘of the body’ Post fertilization. Mosaic – Two different types of cells – For the boys 1X chromosome and 1Y (flashback to biology class). In their X-chromosome, there are normal cells and CDG SLC35A2 cells – With Ladybug having 2X chromosomes 1 has the mutation and 1 doesn’t. X-linked Gene – The Gene is on the X- chromosome. I think I have read and re-read this one sentence dozens upon dozens of times and even now it hasn’t quite sunk in. For the past year and a half, I fought through tears and heartache while I came to terms with not having another child. Then BAM!!!!!! Just like that everything was different. In that first 24 hours my thoughts went from oh my gosh let’s have another baby, to – this spontaneous somatic mosaic mutation happened once what if it happens again? I have many dear friends who are fighting with infertility and aren’t able to have children. The dichotomy of it all is that there are moments I feel like it’s trivial to be so upset about this. I should be happy I was able to have at least one child and leave it like that. Right?!?!? To be honest, because it’s a new discovery there are still so many unknowns and the whole thought of trying for a second baby scares the bejeebers out of me. Not only because of the risk of more miscarriages, but there is also a chance that Ladybug’s CDG may have been caused by a germ line mosaicism – when either the egg or the sperm have the mutation. (Not good) As opposed to a somatic – Post fertilization. (A little better) It’s hard to know for sure unless we spend tens of thousands of dollars on having this tested or take a leap of faith and try again. For now I’ll leave everything in the hands of the universe, and be thankful everyday that I have my beautiful little Ladybug. 3 The number of incredible children in the world who share a new type of CDG. 1 The number of girls in the whole wide world who have this new type of CDG. That 1 girl is my beautiful Ladybug. Several months ago we received an email that essentially changed our lives. 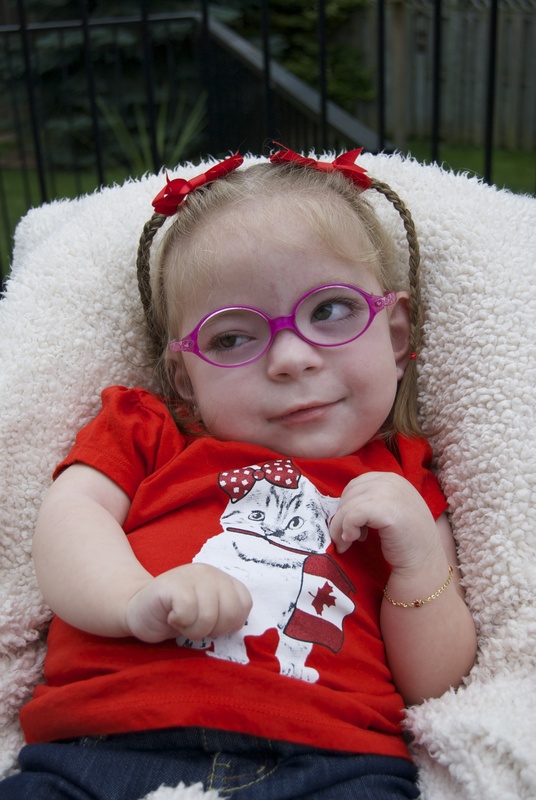 When Ladybug was first diagnosed with CDG we pleaded with the Ministry of Health (Canadian Government) to cover a genetic test for her. Their response was and I quote “what difference will it make”. The governments thought was it won’t change her prognosis so what’s the point. Now I had to try to convince our genetics team to take samples and send them to California. Fortunately our entire team at Mc Master Children’s hospital are phenomenal so they didn’t even give it a second thought. Fast forward many, many months and the email arrived. The initial email was incredibly cryptic and read something like. We’ve made a discovery. stop. It’s a pretty big deal. stop. Can’t say too much now but will let you know soon. stop. Of course I might be exaggerating a teeny tiny bit. But that’s what it felt like. The first portion of the HUGE news was that Ladybugs little friend in Jolly Ol’ England was indeed the same subtype as she. DUH…..yes I just said duh! We (being the two parents) have felt this in our hearts the moment we began chatting and sharing pictures of our kids. Then there was a third little boy who was also the same subtype from the USA. Here is a picture from the Sanford-Burnham Science Blog – The Beaker that featured our 3 special kiddos. The new CDG finding was also published in The American Journal of Human Genetics and Science Daily to name a few. If anyone would like to see these please feel free to email me. The next portion of news was that these three beautiful children – whom I love to bits, have a brand new type of CDG. CDG SLC35A2. This explanation will require a blog post of its own which will come soon. It was and still is A LOT to take in. There were quite a few new developments on top of how rare she really is that I’m still trying to digest, and when the time is right I will share them with everyone. Today, March 26 2013 marks the 1st official PURPLE DAY in Canada. 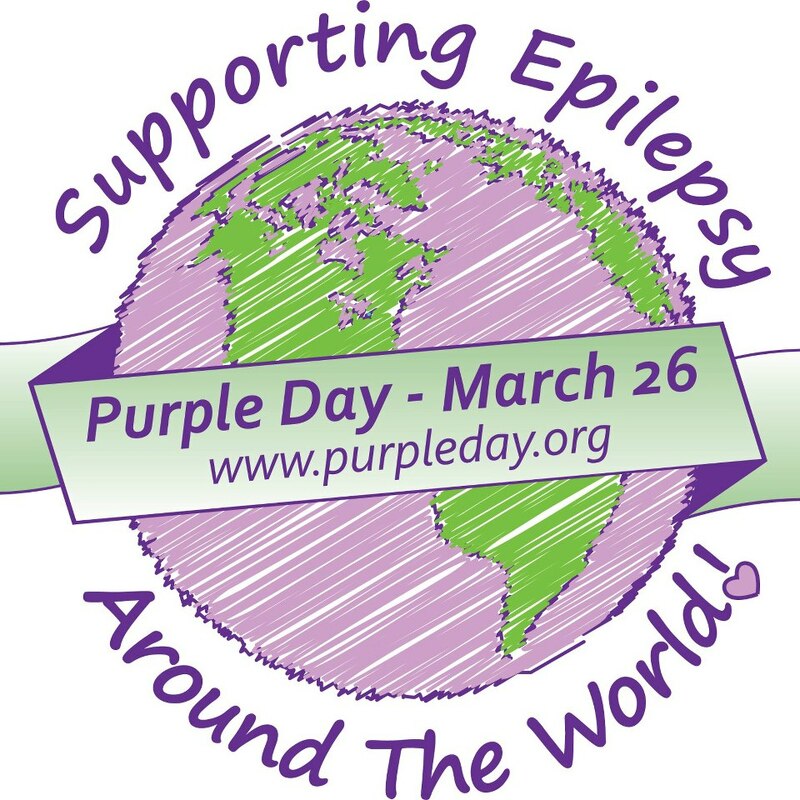 Purple Day was first recognized as the official day for epilepsy awareness in Canada on June 28, 2012, in an Act of Parliament put forward by the Hon. Geoff Regan, M.P. for Halifax West. Bill C-278 met with resounding all-party support and became the only legislation of its kind in Canada. The Act demonstrates meaningful support to the 300,000 Canadians living with epilepsy and helps to reduce the stigma and discrimination that is often associated with the disorder. You can read more about this amazing day in Canada here at the Canadian Epilepsy Alliance website. Epilepsy affects over 300,000 Canadians and over 50 million people worldwide. My little ladybug is one of those people. 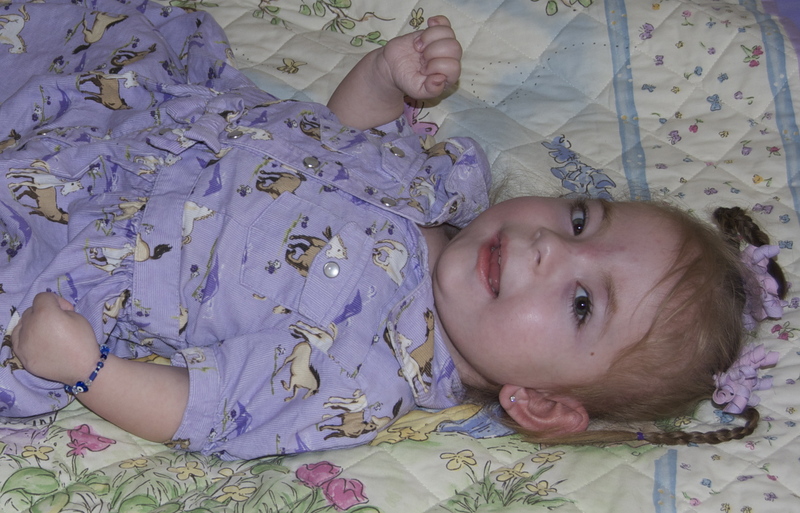 I’ve not really written much about her seizures, but couldn’t think of a better day than Purple Day to begin. 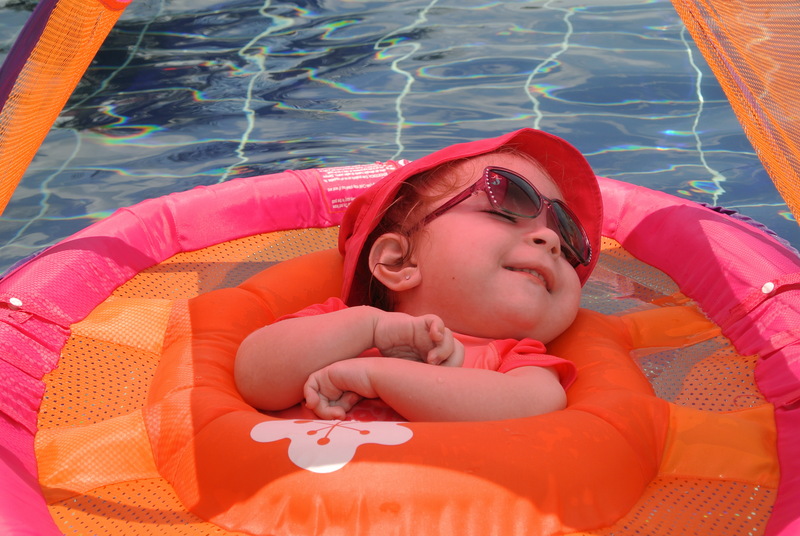 One of the characteristics of many children with Congenital Disorders of Glycosylation CDG is epilepsy. When most think of seizures they tend to think of what is known as a Tonic Clonic or Grand Mal seizure which is often depicted on tv and in the movies. Truth is there are dozens upon dozens of types of seizures. 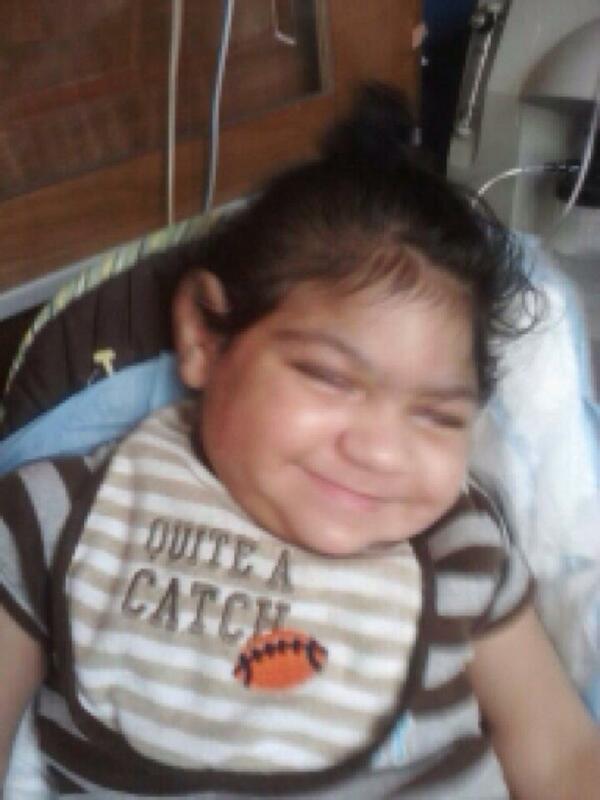 Ladybug has what are known as Myoclonic Seizures. (myo meaning “muscle”, clonic meaning “jerk”) These result in an increase in muscle tone. Those suffering from myoclonic seizures typically react as if hit by a single jolt of electricity. Usually in Ladybugs case her arm or arm and legs stiffen up and go straight out and her eyes are wide open and look up and to the left side. These “episodes” happen anywhere from 1 to 10+ times a day, every day. As each person is different it is a big gamble as to which medication will work. Initially the doctors tried one called Vigabatrin. We were told it would make her a little groggy. That was a huge understatement. Thank heavens she was in the hospital because after 2 doses she went into a coma like state and we were unable to wake her up for several hours. She has since been taking Keppra (Levetiracetam) and the dosage has been slowly increased over the past year and a half. Up until this past month I hadn’t really noticed a difference in the quantity or length of the episodes, I say this because with this last itty bitty med increase she is down to under 3 noticeable seizures a day. Myoclonic seizures are often only one manifestation of a mixed seizure disorder, and they can be very serious. 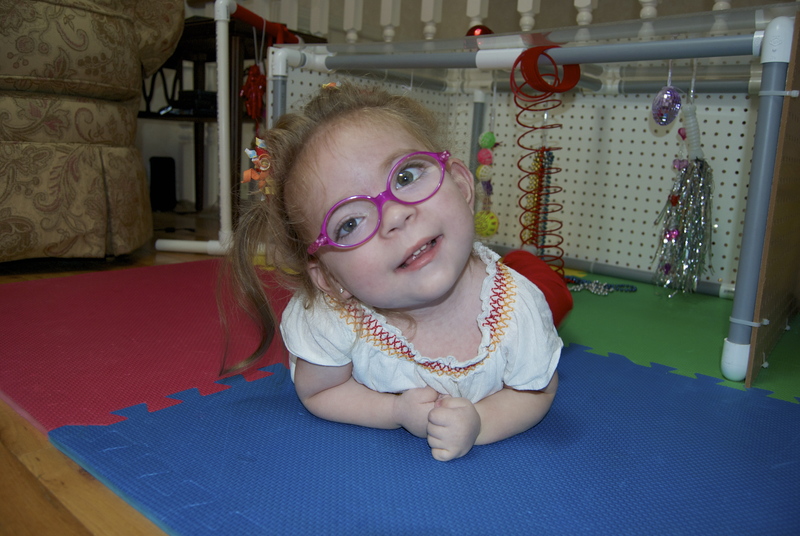 For this reason we see Ladybugs Neurology team every 4-6 months and monitor and record her seizure activity daily. Along with the decrease in noticeable seizures, Ladybug is also healing very nicely following her port removal and Mic-Key insertion two weeks ago. I must also add, that as of today she is a whopping 20 pounds and 28 inches in length!!!! Even though her little princess diva attitude is becoming more prominent as days go by, I’m so happy for each and every one of these little milestones. Ladybug in all her glory wearing a purple dress for Purple Day.